LISTEN to today's conversation with Bri Seeley! Bri is motivated by a deeply-held belief that every woman deserves to live a life that inspires her, and her work reflects this deep remembering of the possibility - nay, inevitability - that our desires hold. Through her signature 6-month training Permission to Leap (plus book + podcast by the same name!) she will guide you through the process of leaping from the day you commit to your vision, all the way through each stage, up until the day you land softly on the other side of it all. 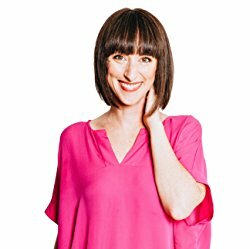 A catalyst, speaker, and author, she is a regular contributor for The Huffington Post and Influencive and is known by many for her compassionate, yet tell-it-like-it-is guidance that creates massive and epic changes in every woman she encounters. Bri has been featured on NBC's The Today Show, Forbes, Inc., Medium, Free Enterprise, Kickstarter and PBS. In 2016, she received the 'Outstanding Small Business' award from the Los Angeles Mayor's Office. You know that there is more available to you. Life is calling for you to be more in the world. And while you've taken a few baby steps to find out more, the thought of jumping without a parachute terrifies you. You can feel yourself torn between the comfort that you know and that invisible whisper inviting you into the expansive and vast unknown. The doubts and 'what if's are paralyzing you on the fence of indecision. You look left to the comfort and right to the possibility. And left. And right. Which side do you choose? 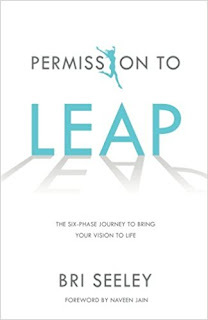 'Permission to Leap' will guide you through the process of leaping from the day you commit to the day you land softly on the other side. Because the world needs you to leap sooner than later. 1. How to move past your fears and out of your comfort zone to say YES to your vision. 2. Tools and techniques to strengthen the inner foundation upon which your vision will be built. 3. New mindset and beliefs to support you your vision creation. 4. The science and psychology behind comfort zones, leaps of faith, and manifestation. 5. Habit creation to support you in sustainable and lasting change. Catch 'But, HOW? A podcast to help visionaries bring their ideas to life' at podcast.briseeley.com and be sure to secure yourself a copy of Bri's best-selling book Permission to Leap on Amazon at bit.ly/readlp2l.